Hi folks! Welcome to the latest installment of Throwback Thursday. This is a post I do once a month when I run out of things to say where I share an older post from the early days of this blog that you might have missed the first time around. 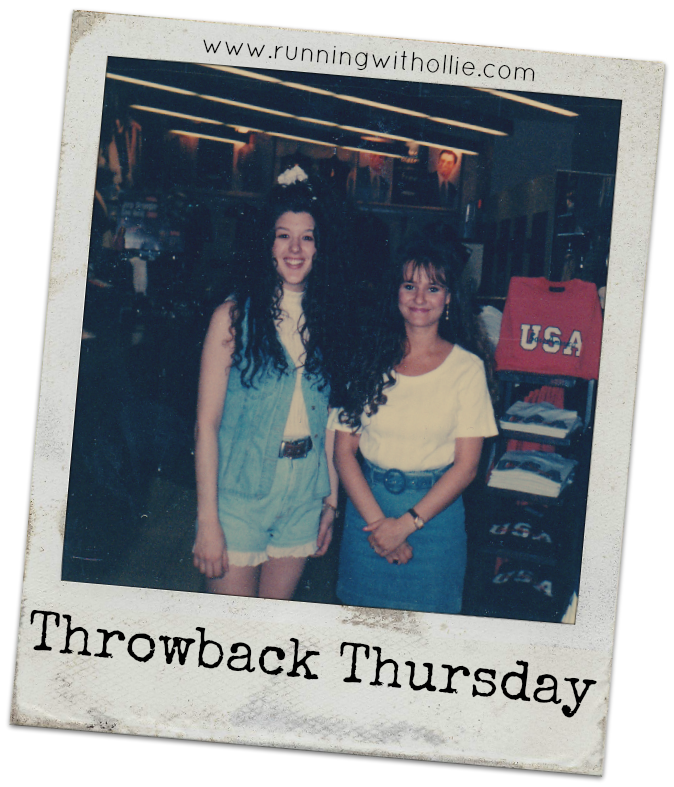 In honor of Throwback Thursday, I also share a throwback picture, so that you can laugh at with me about how ridiculously big my hair was in the 90's. My deepest apologies to my old friend (with whom I have long lost touch. Are you out there Amy?). At least she doesn't look near as ridiculous as me. 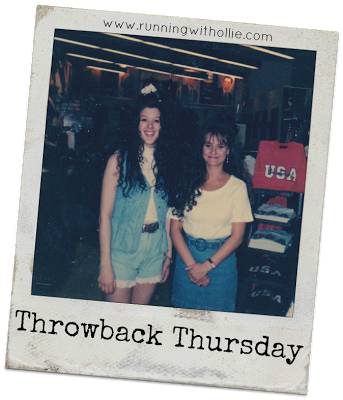 Don't you just love my all-denim outfit, giant hair scrunchy, and ruffled high-waist jean shorts? The worst part is that I can't even blame it on the 80's, as this is closer to 1994. And why are we taking pictures in a clothing store? It was Chess King. I worked there. Apparently this was an appropriate work outfit in 1994. It was the olden days, things were different back then. Now that you have had your laughs at my expense, lets move on to the post. 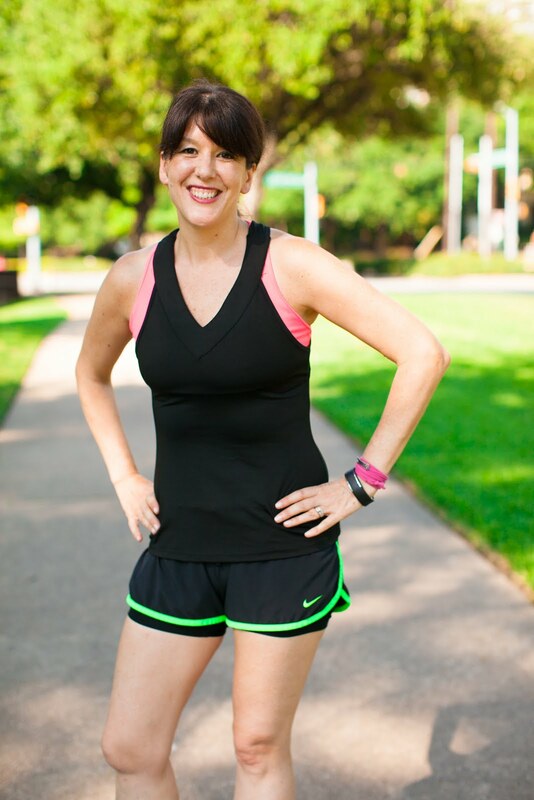 Last year in November I ran the San Antonio Rock 'n Roll Half Marathon. I ran it pretty much untrained, sick, and on little sleep. It wasn't my fastest half marathon (d'uh), but I survived it. In this post, I talk about all the things I did wrong, so you can read about how NOT to train for a half marathon. 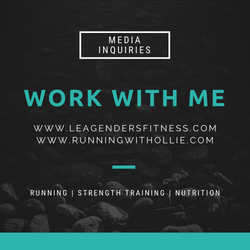 I hope you will click over and read about How NOT to train for a half marathon and let me know what you think in the comments! LOL...I'm a child of the 80s and you would have fit right in! Maybe you were born in the wrong decade! ;) I'm glad to know that I am NOT following any of your rules for training, in fact I have too much time on my hands and have to keep myself motivated and moving until February. My mom totally dressed me like that in the 90's and then wondered why I didn't want her opinion on clothes when I was a teenager. 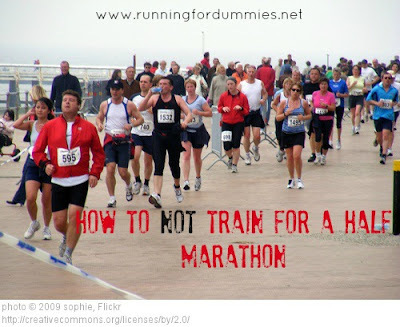 I remember reading your how not to train for a half marathon post. I think it was one of the first posts I read on your blog.